This is a live blog. There is no need to refresh! That's all for today. 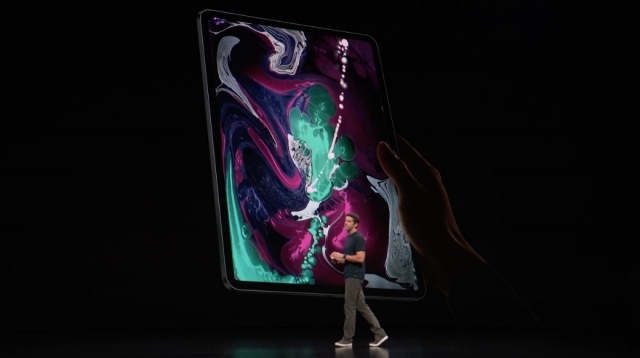 Please follow iClarified on Twitter, Facebook, Google , or RSS for more details on the new iPads, Mac mini, and MacBook Air. 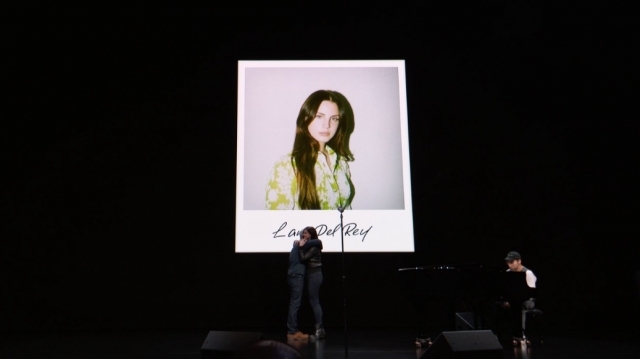 Tim Cook welcomes Lana Del Rey to give a musical performance. Recapping new announcements. 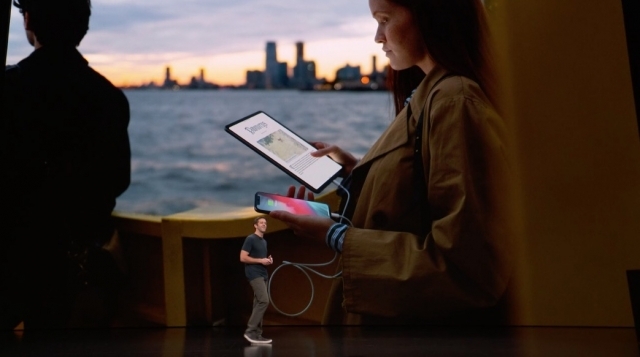 MacBook Air, Mac Mini, iPad Pro. 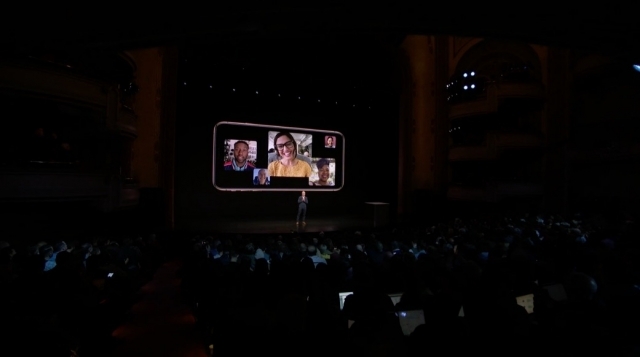 Today we are shipping iOS 12.1 that includes Group FaceTime, Dual-SIM support, over 70 great new emojis. Update on iOS 12. Installed on more systems in the first month than any version in history. 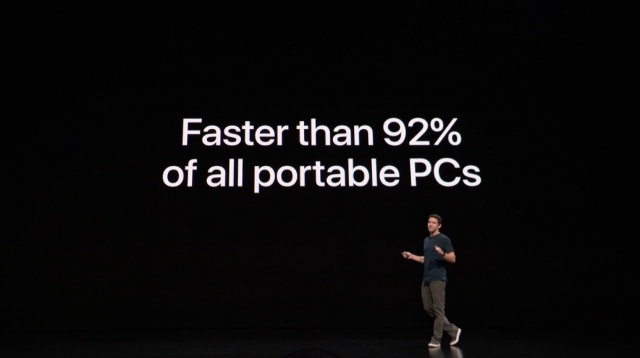 60% of all iOS devices are already running iOS 12. 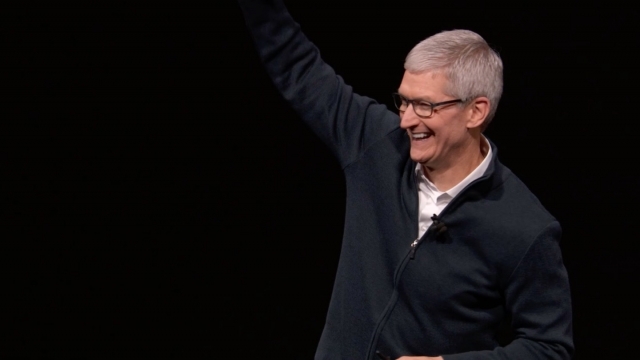 Tim Cook is back. 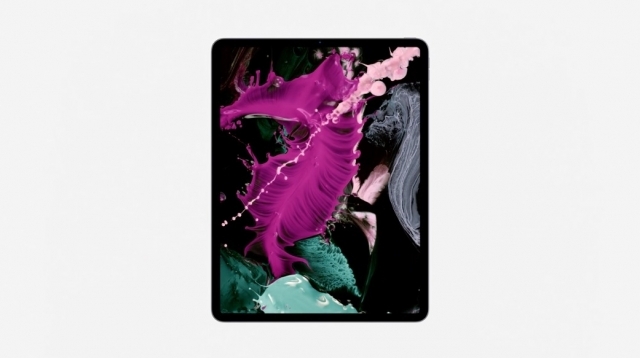 These are the most exciting iPads we have ever created. 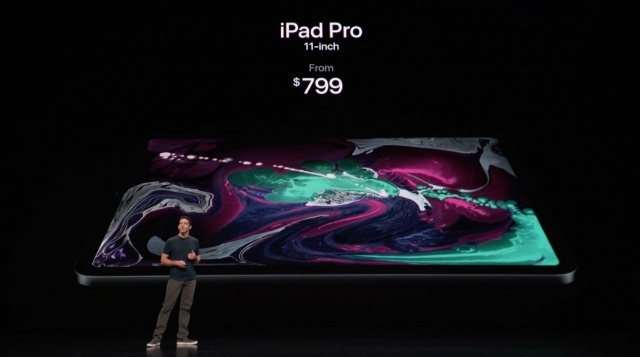 10.5-inch iPad Pro will continue to be available for $649. Customers can start placing orders today. Release is November 7th. 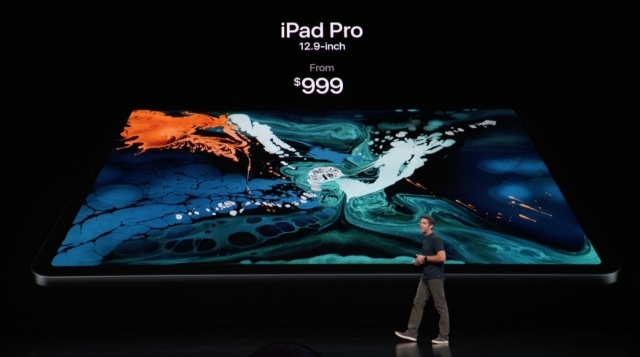 11-inch iPad Pro starts at $799. 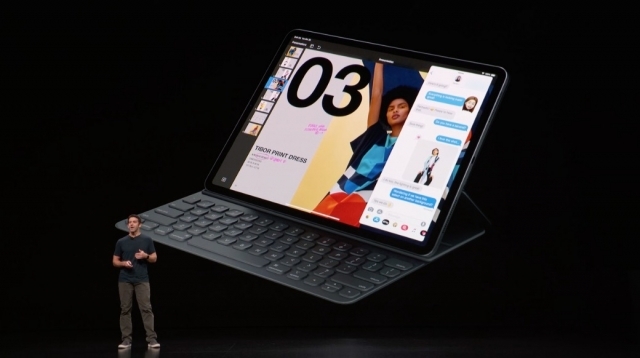 New iPad Pro video playing now. 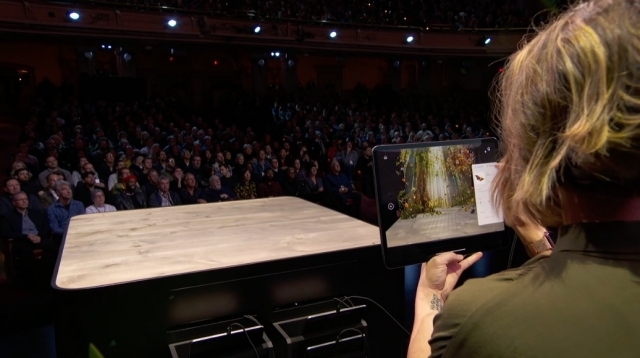 Now demoing Adobe Aero AR tool. 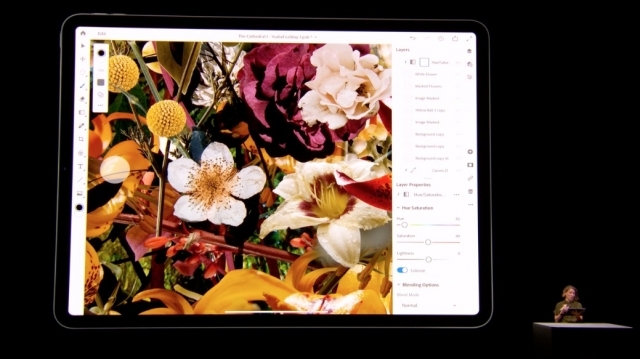 Demo of the real Photoshop on iPad. 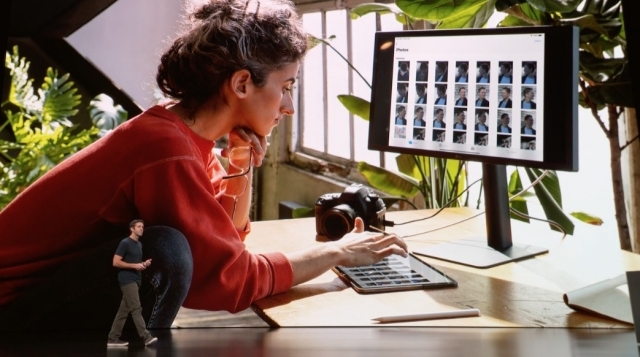 Adobe is up to talk about 'the future of creativity'. 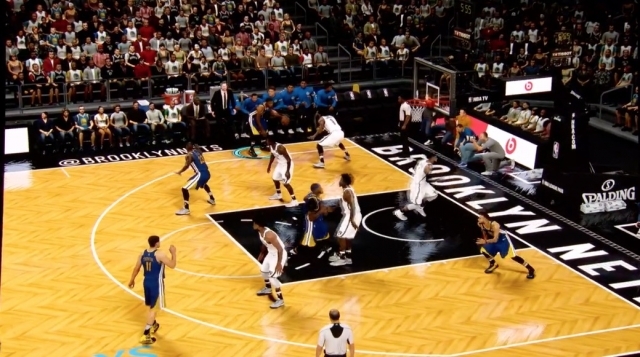 Greg Thomas from 2K Games is up. 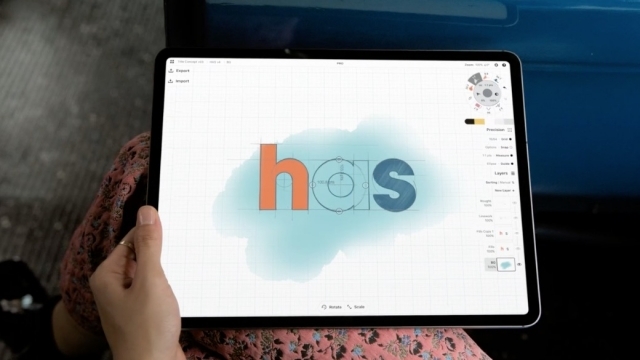 Autocad is coming to the iPad. 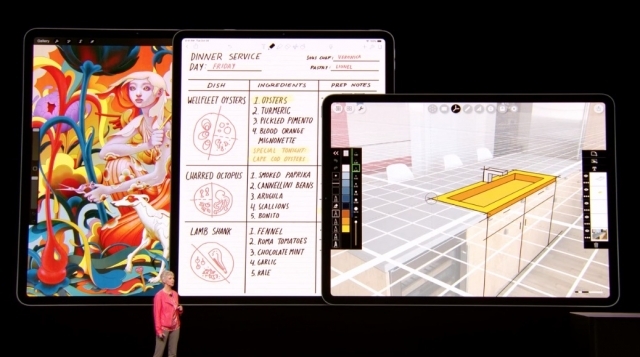 Shaun is up to talk about apps designed for new iPad Pro. 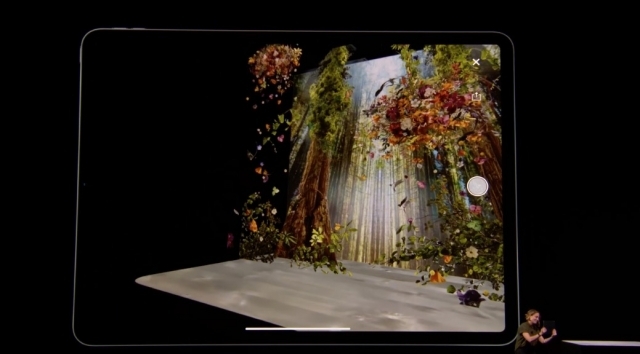 We've optimized these iPad Pros to make AR even better. Tap twice to switch modes. 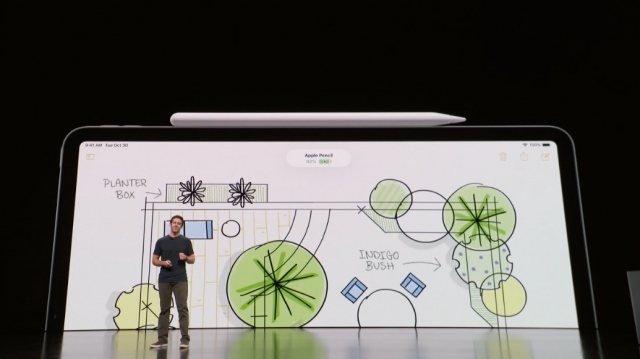 New second generation Apple Pencil. Connects magnetically and charges wirelessly. 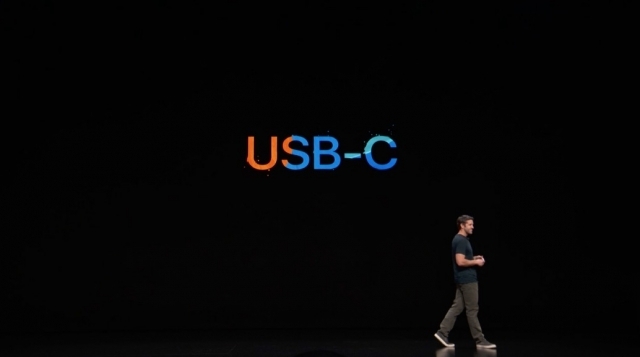 Supports charging out over USB-C. Charge your iPhone while on the go! Connect up to 5K display. 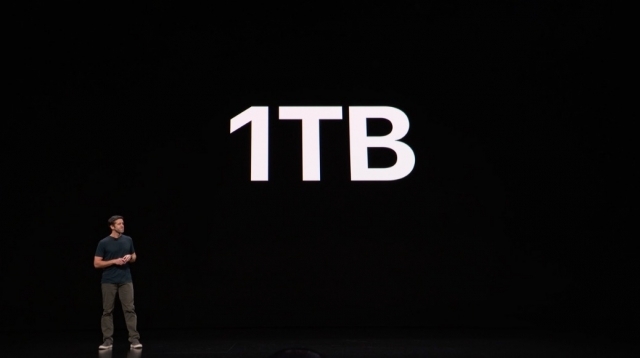 Up to 1TB storage capacity. Latest generation neural engine. 5 trillion operations per second. 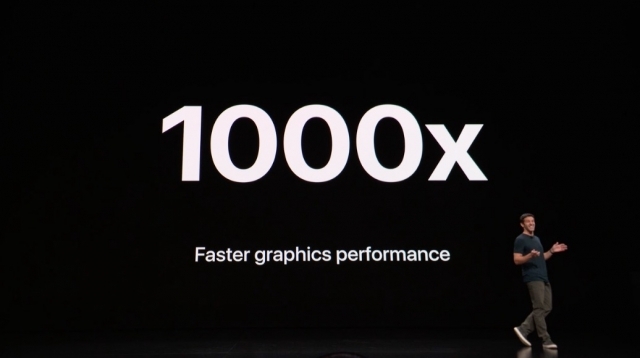 Graphics is now 1000x faster. 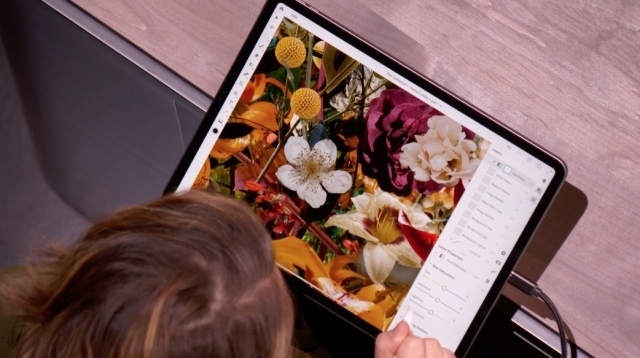 iPad Pro is faster than 92% of portable computers sold in the last year. 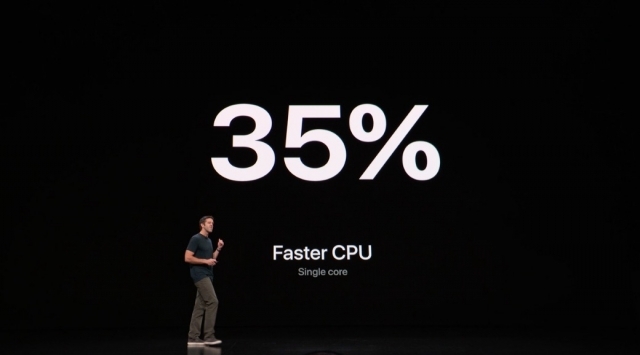 35% increase in single core performance. 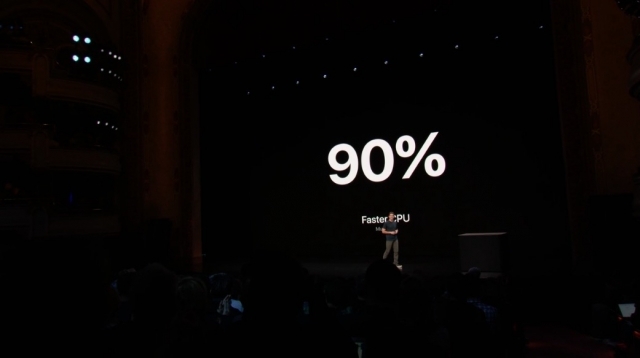 90% faster multi core performance. 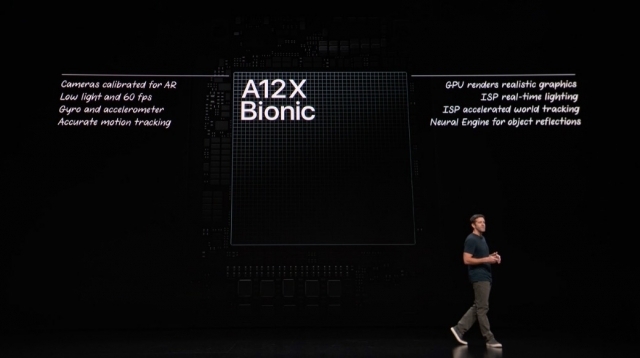 A12X has an 8 core CPU with four performance cores and four efficiency cores. 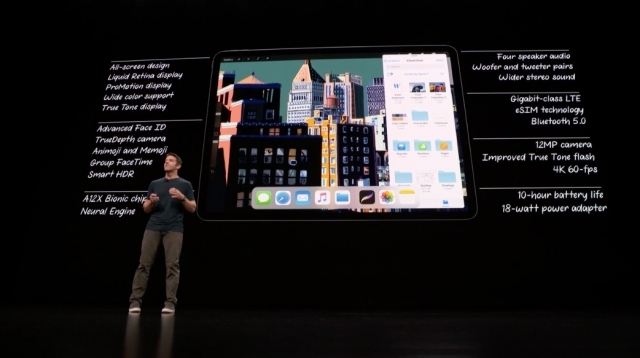 7nm process. 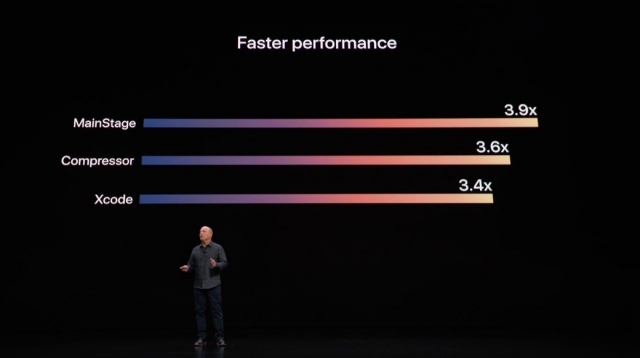 Huge jump in performance and efficiency. 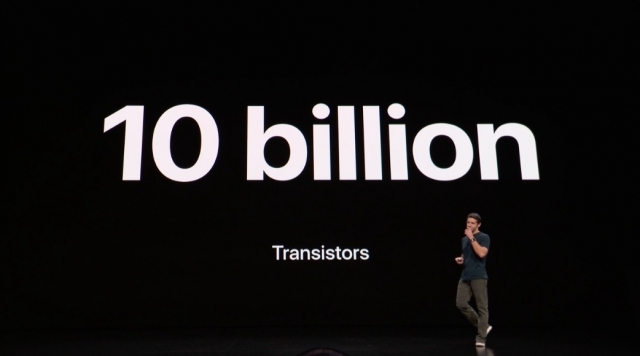 10 billion transistors. Under the hood. 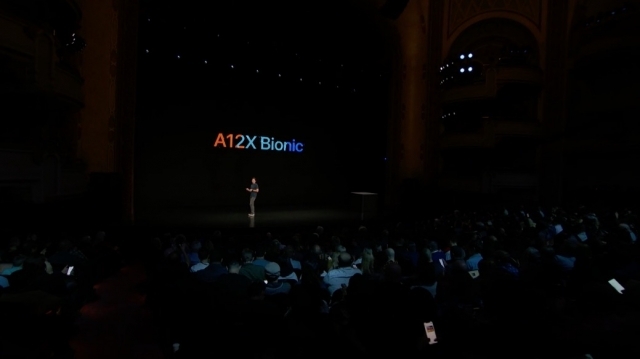 Powered by A12X Bionic. 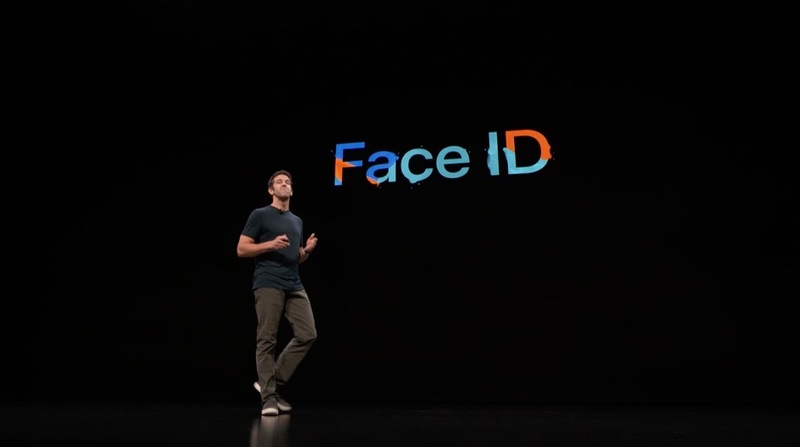 iPad Pro now has Face ID. About size of 8.5x11 sheet of paper. 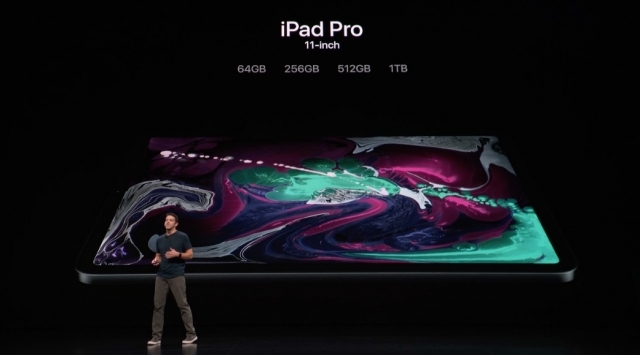 12.9-inch model gets reduced footprint. 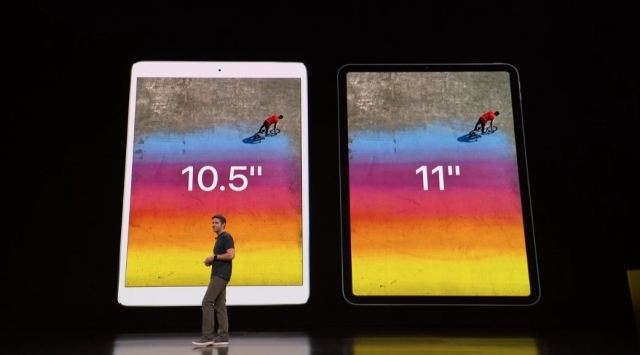 11-inch display for the smaller model. We have made it better in every possible way. John is up to talk about it. 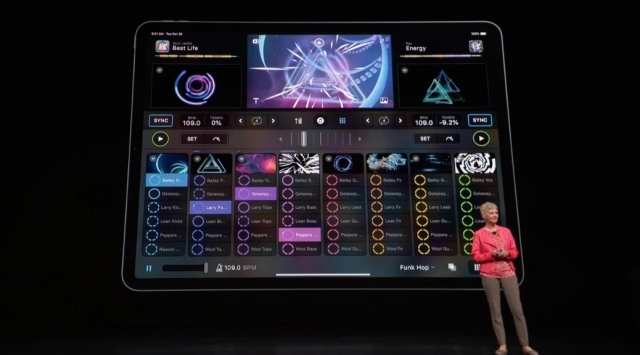 This is the new iPad Pro. 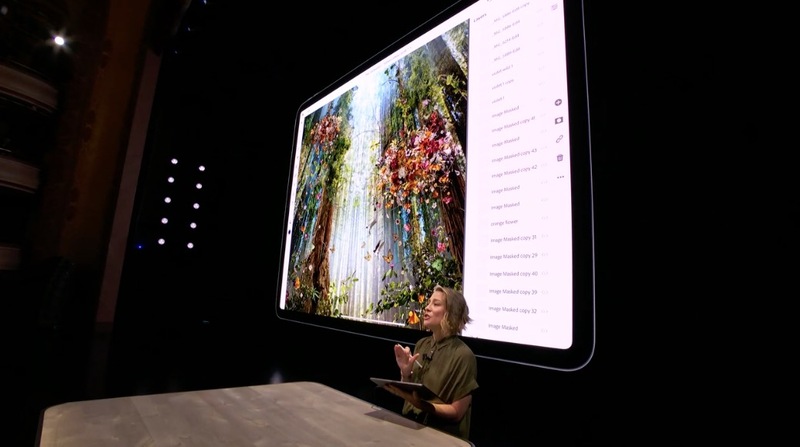 Today we're announcing an all new iPad Pro and it's going to push what you can do on iPad or on any computer even further. 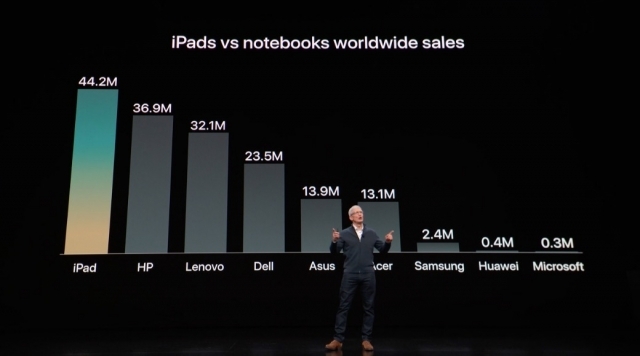 We've sold more iPads in the last year than the entire notebook lineup of all the biggest notebook manufacturers. 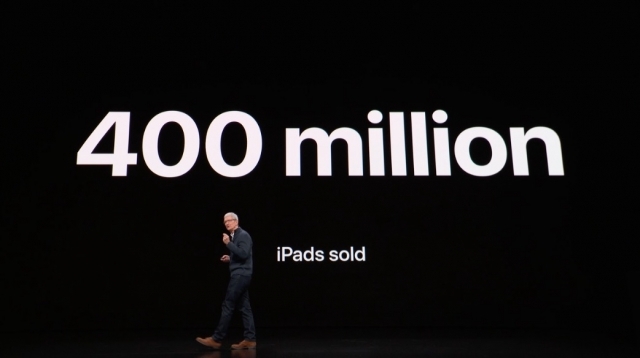 We've now sold over 400 million iPads. Tim. No one else has anything like Today at Apple. We have over 70,000 team members that are dedicated to help you get the most from your products. 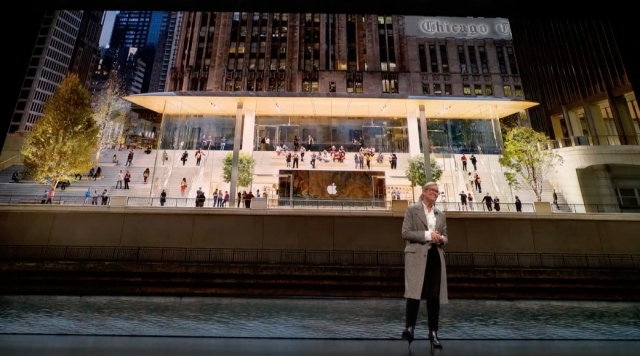 Angela is highlighting upcoming new Apple Store locations. 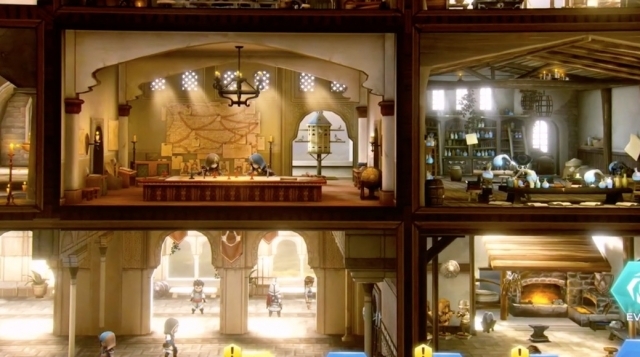 Video, music, and design have all been expanded. Today we are announcing 60 new sessions. 18,000 sessions held a week attended by millions. 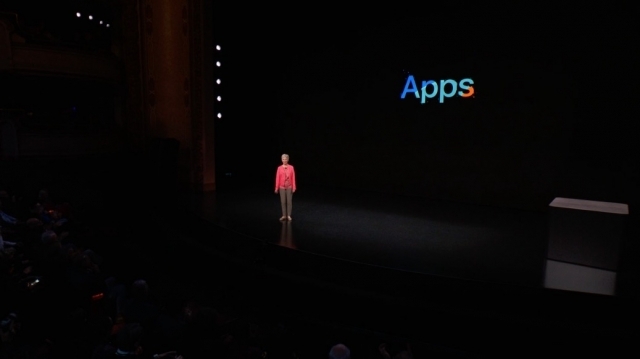 Angela is up to talk about Today at Apple. Order starting today. Will be available November 7th. 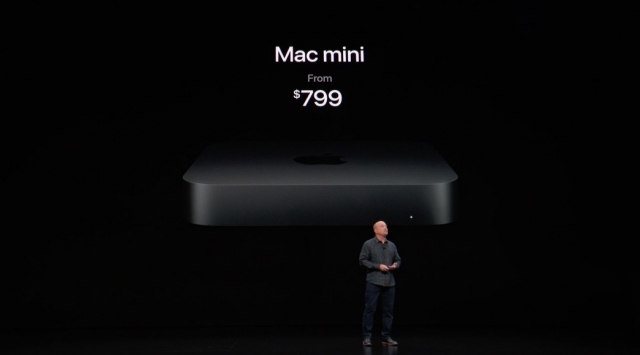 Mac mini starts at $799. 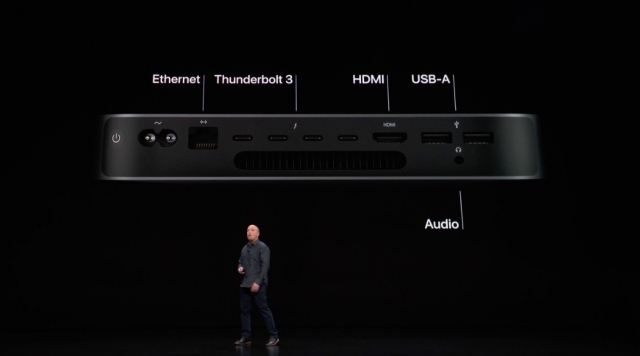 4 Thunderbolt 3 ports, HDMI port. 10GB Ethernet. 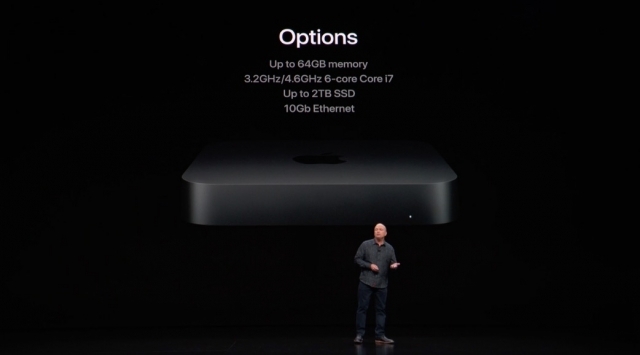 Every Mac mini has all flash storage. Up to 2TB SSDs. 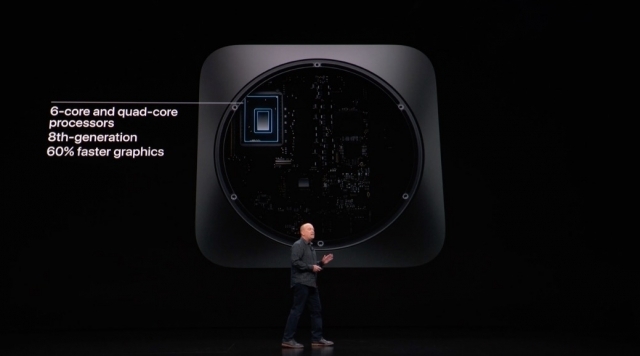 Apple T2 Security Chip. 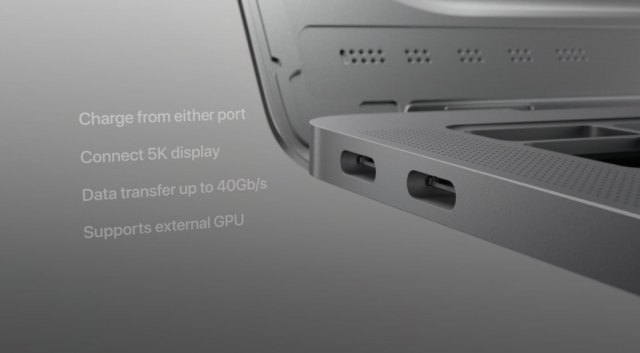 New Mac mini supports up to 64GB of memory. Space Gray finish. 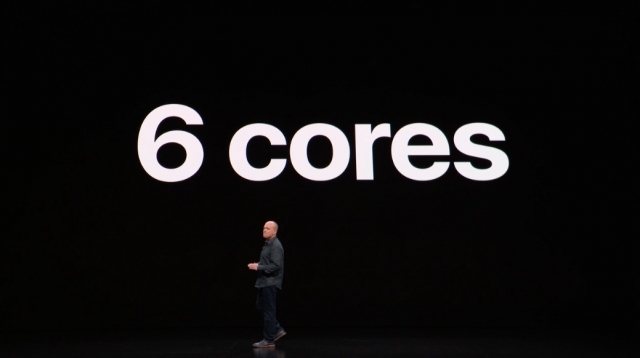 4 cores or 6 cores. 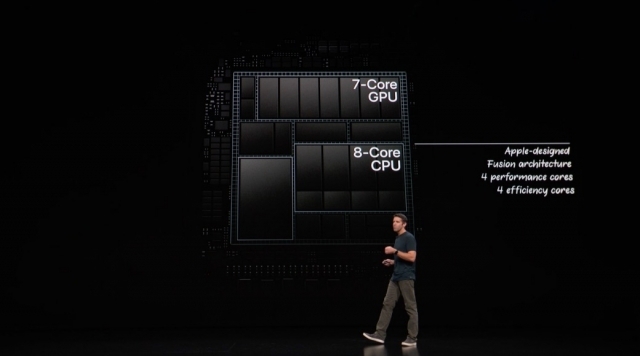 8th generation CPUs. 60% faster graphics. 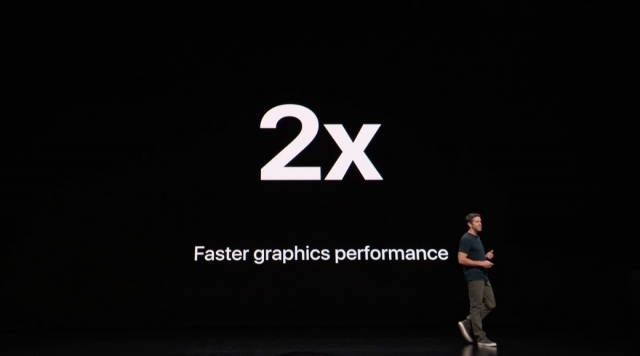 5X faster performance. 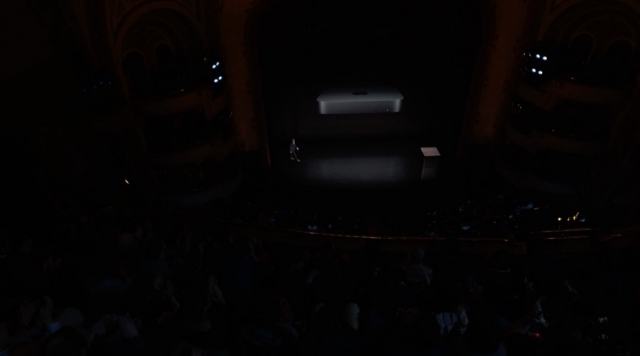 Tom is up to talk about the new Mac mini! There is a new small but mighty Mac our users have been waiting for. You can order it today and it will be available starting next week. 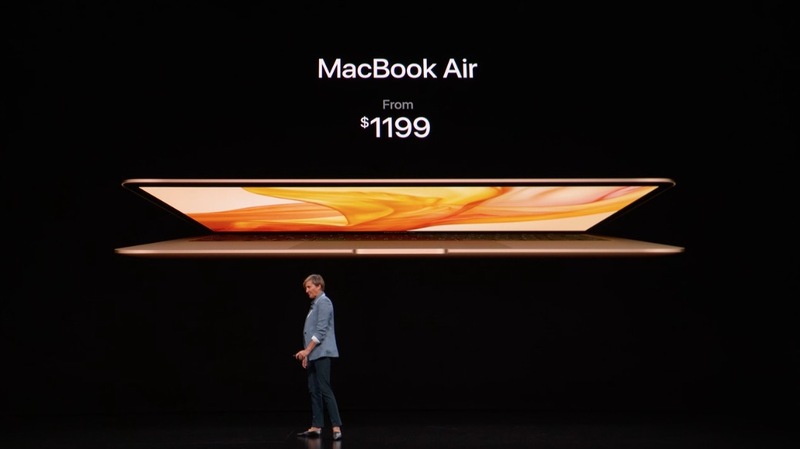 The new MacBook Air starts at $1199. 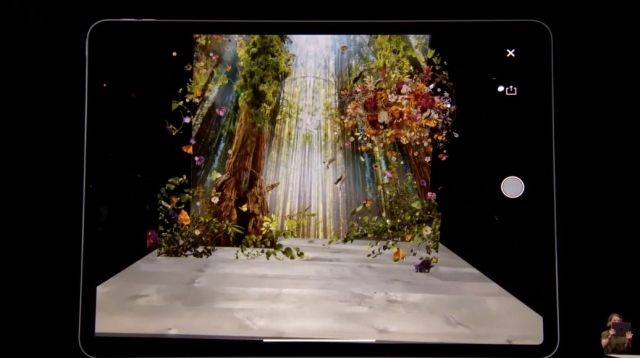 A video highlighting features of the new MacBook Air. 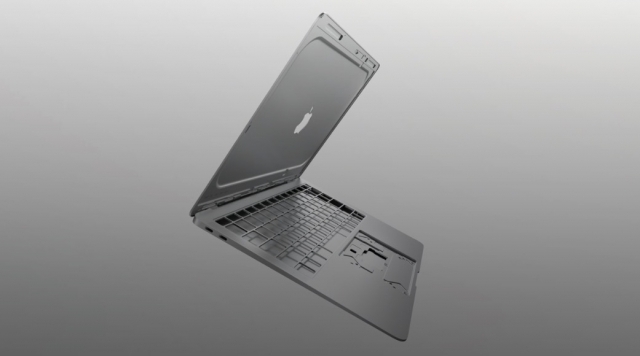 Every new MacBook Air is made from 100% recycled aluminum. 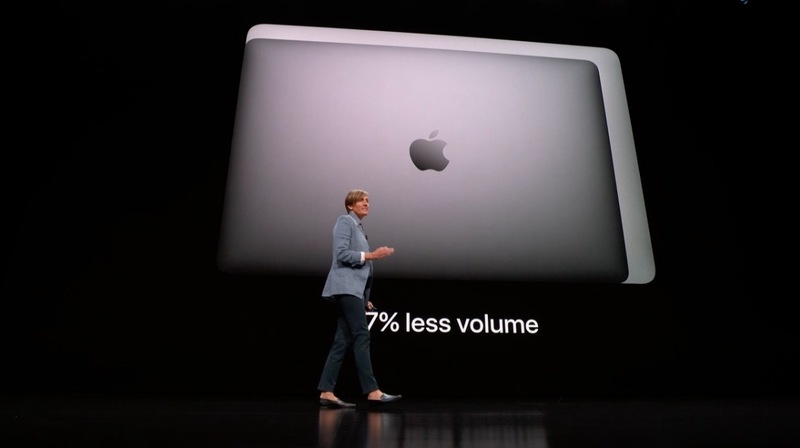 .25lbs lighter than previous MacBook Air. 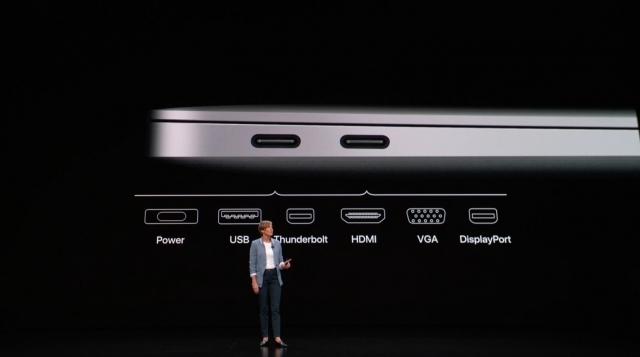 15.6mm thick. Weighs 2.75 pounds. The CPU is an 8th generation dual-core i5 CPU. 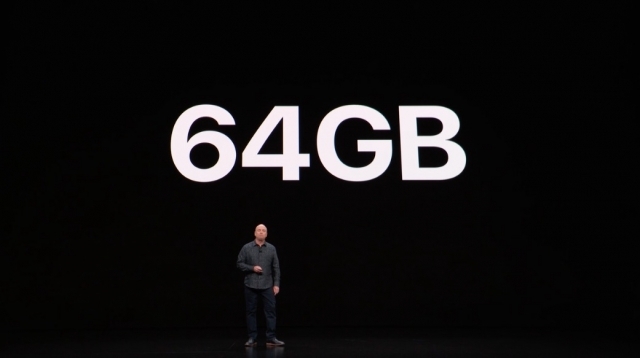 Up to 16GB of 2133MHz memory. 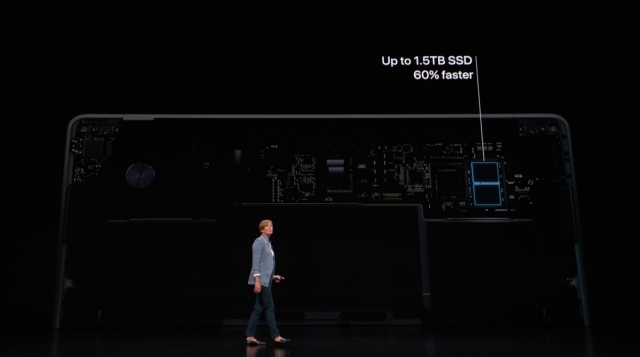 Up to 1.5TB SSD and 60% faster. Huge strides in audio performance. It is 25% louder, has 2X more bass, and wide stereo sound. 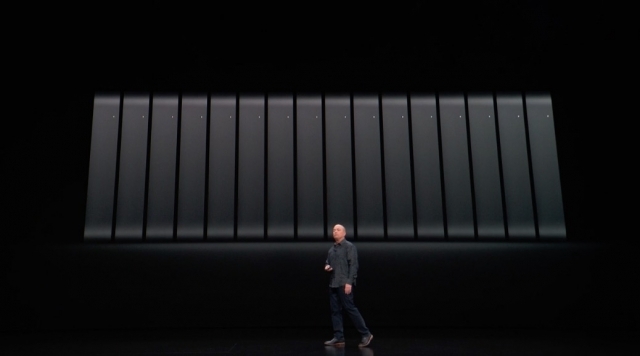 Three-mic array for FaceTime calls and Siri. 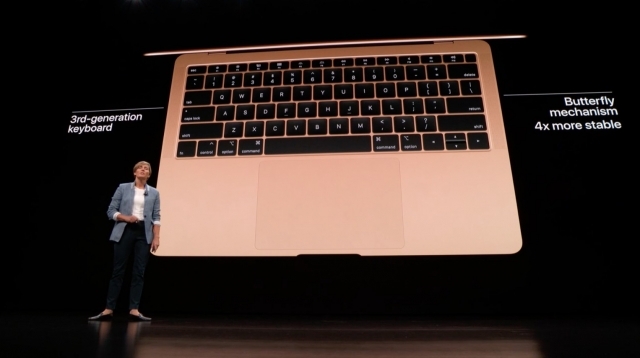 New Force Touch trackpad with 20% more surface area. Quieter and more capable. 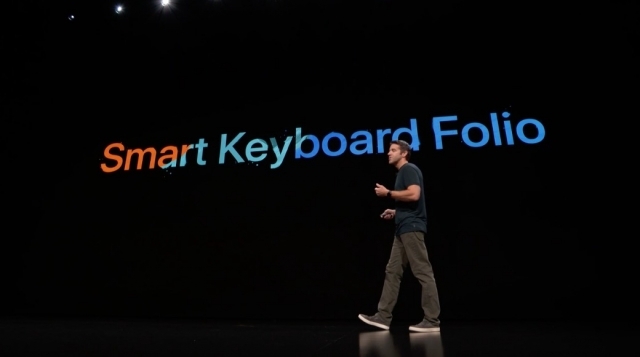 New MacBook Air has latest keyboard with 4X stability of previous generation. T2 also features SSD controller with on the fly data encryption. 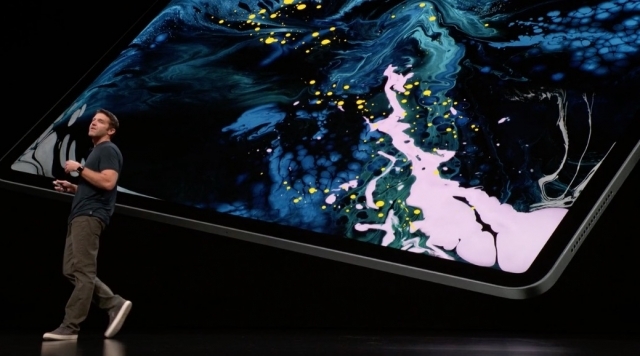 New Air sleek design takes the display glass right to the edge. 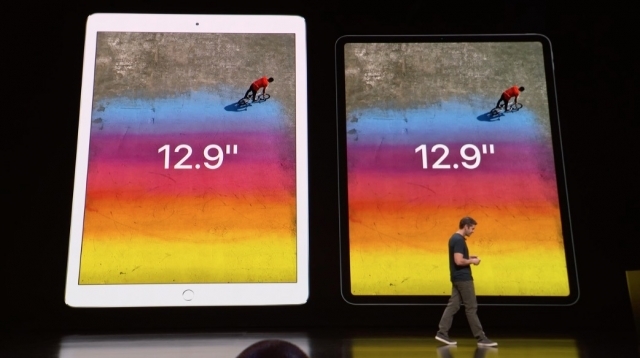 13.3" display size. Resolution is quadrupled. 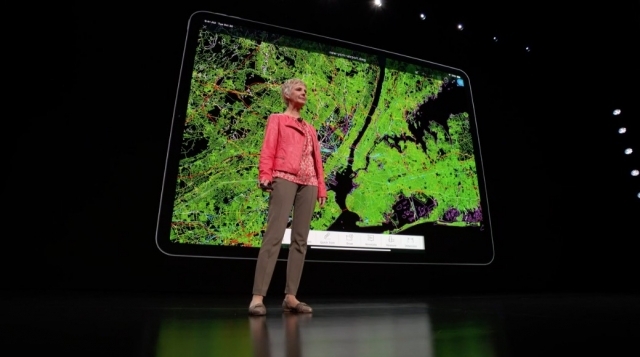 Over 4 million pixels. 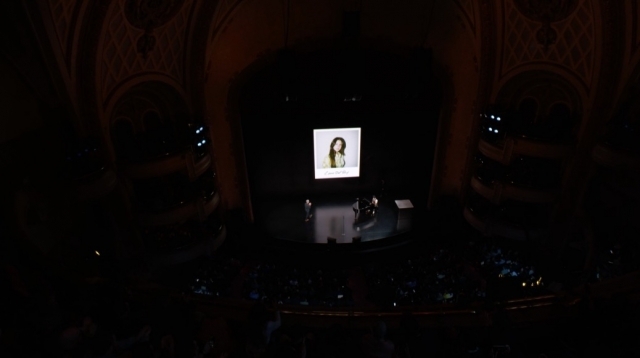 A video introducing the new MacBook Air! 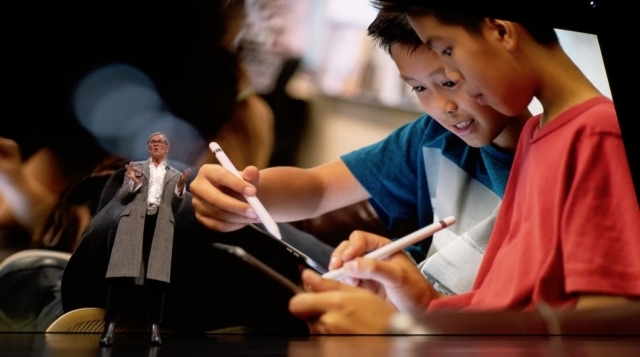 It's time for a new MacBook Air. One that takes the MacBook Air experience even further in the areas that are most important to our customers. 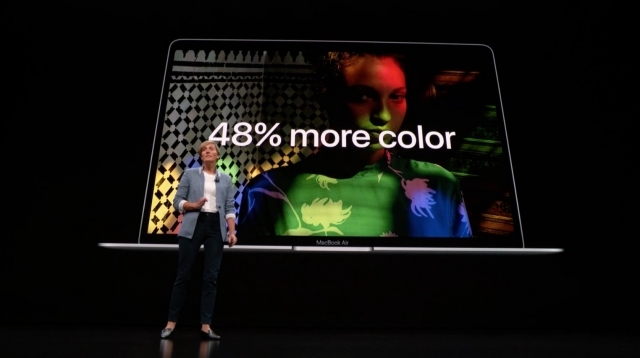 Of course what we all want in a MacBook Air is a Retina Display. 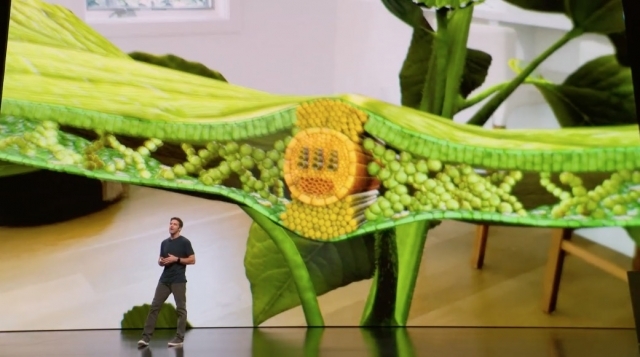 Cook is running through the new features in macOS Mojave. 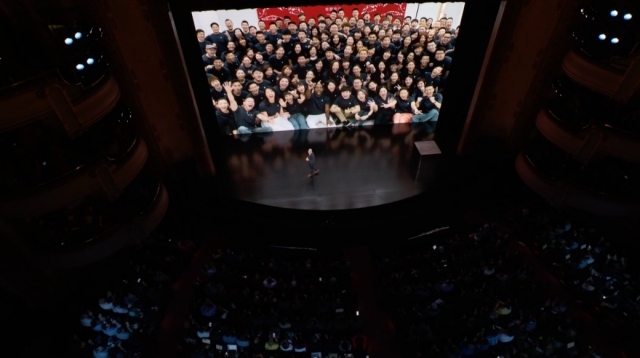 100 million active install base for Mac. 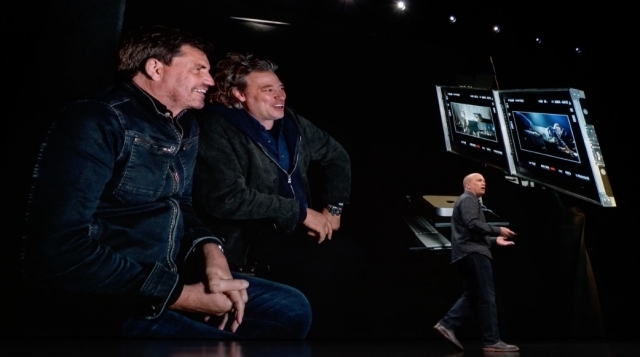 We are here today to talk about our most creative product and of course that all starts with the Mac. Today we are especially thrilled to be at the Brooklyn Academy of Music. 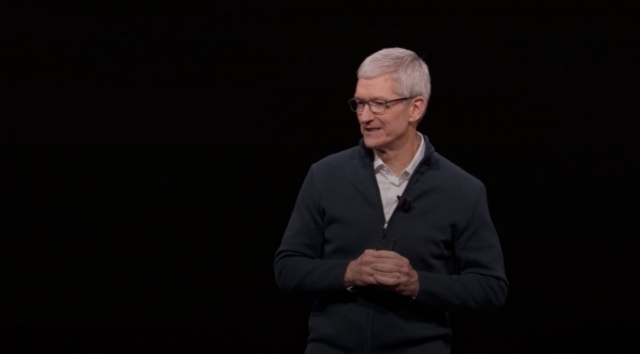 Tim Cook is up on stage. Now we have a video about New York, "I happen to like New York!" 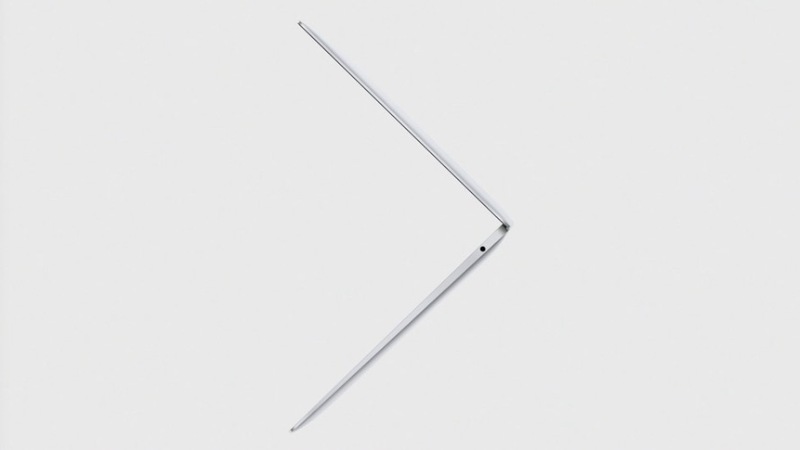 We've started with an animating Apple logo similar to the invitations. We'll be getting started soon! 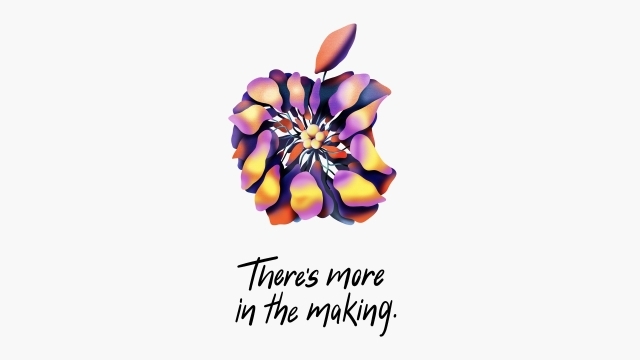 We will be providing live coverage of Apple's October 30th special event at the Brooklyn Academy of Music, Howard Gilman Opera House, in New York. 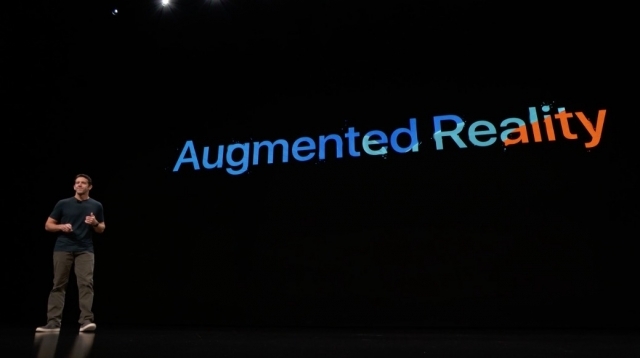 The keynote begins at 7:00am PT / 10:00am ET. 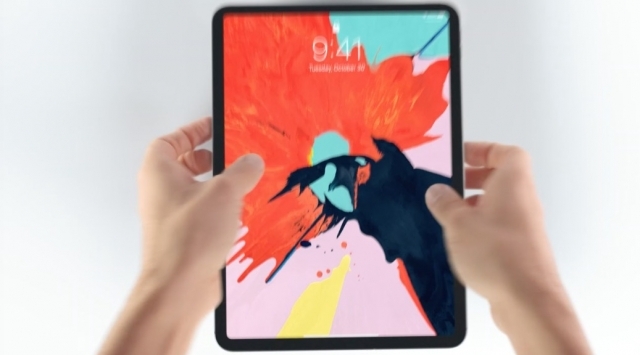 We're expecting Apple to unveil two new iPad Pros with no Home button, a slimmer bezel, and Face ID. 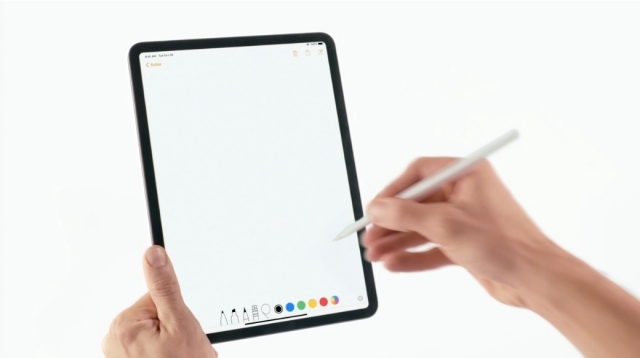 Apple is also rumored to be introducing a low-cost 12-inch MacBook to replace the MacBook Air, an updated Mac mini, and a new Apple Pencil with gesture support. Please follow iClarified on Twitter, Facebook, Google , or RSS and we'll let you know when things get started! Air is affordable as others thought sites were predicting around $900 or less No AirPods wanted to replace my beats ?